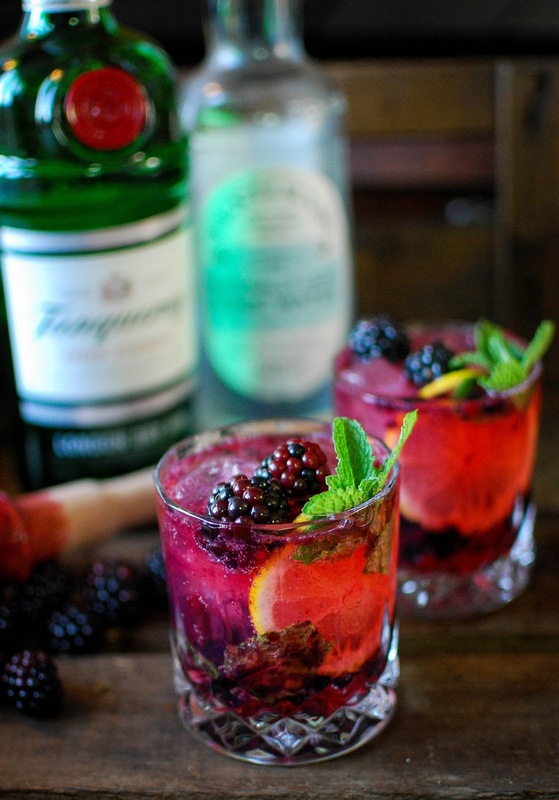 The second cocktail in our Fentimans based trio is this fruity number, a blackberry and lemon gin and tonic. Another easy but impressive number this is the perfect laid back cocktail. Ideal for sipping while telling holiday anecdotes around a roaring fire, or a hot radiator at least. For this cocktail I added a little sugar syrup to counteract the sharpness of the berries so to keep things nice and light I used the Fentimans Naturally Light Tonic Water from the 500ml mixers range. A lovely light and sparkly tonic water you certainly can’t tell it’s low calorie, you can never be too carful around the festive season. I’m looking at you, selection box! This is the perfect laid back cocktail. Ideal for sipping while telling holiday anecdotes around a roaring fire, or a hot radiator at least. 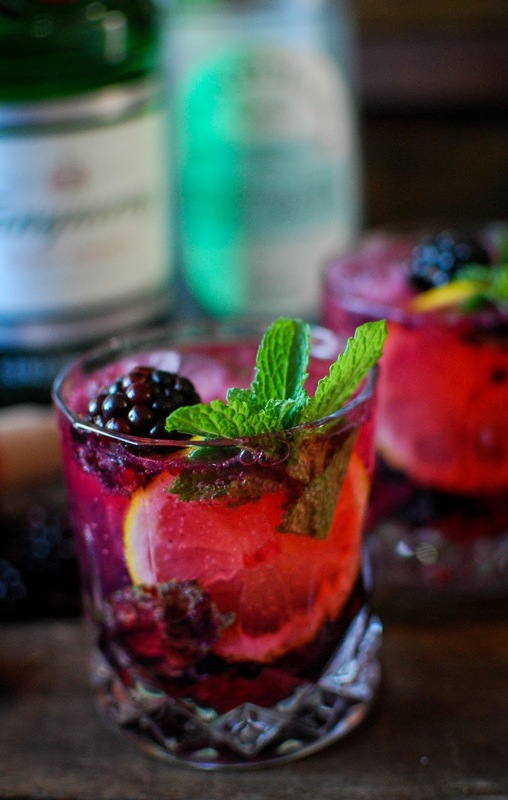 In the bottom of two pretty glasses muddle together 4 blackberries, a few min leaves, a small dash of sugar syrup and the juice from 1/2 a lemon. Make sure everything’s fully mixed together and mushed up. Fill the glasses to the top with ice and pour over the gin. 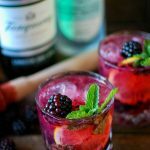 Top up with the Fentimans Naturally Light Tonic Water and garnish with a slice of lemon, a few blackberries and a sprig of mint.